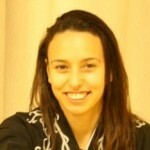 Yasmin, a Yoboku from Holland. 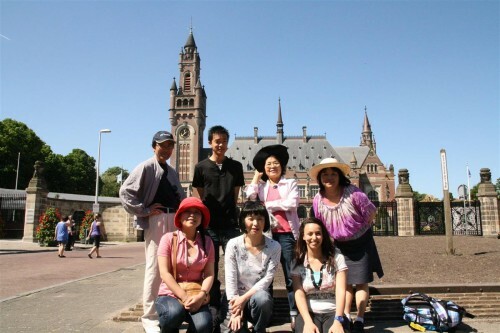 There are about 20 Yoboku living in Holland. Most of these Yoboku arrived here as missionaries to a mission station (fukyosho) that was established here many years ago. Although the mission station’s existence came to an end, the same missionaries that came here many years ago stayed here in Holland. As for myself, I am a first-generation Tenrikyo follower. My grand church is Chinzei Grand Church and became a follower through my friend who is a daughter of one of the young women pioneers. Every year we have a lecturer come from Japan, or another country, as a guest for the Joyous Life Lecture. Since this year we have Kosha matsuri (monthly service in a follower’s home) every month. Because we do not have a church here, we must attend the monthly service in the Europe Centre near Paris. I welcome everyone out there to pay a visit to Holland!! Below are more photos from their Hinokishin Day activity at a park in Scheveningen, Den Haag, Holland on May 27, 2012. Thank you Yasmin! I hope I can see you in Holland someday!